The Famine may be over, but the Resistance has just begun. When Remy Alexander is fifteen, her older sister is murdered in a cold-blooded classroom massacre. When the Okarian Sector hides the truth behind the attack, Remy's family goes underground to join the clandestine and growing Resistance movement. Now, three years later, Remy is beginning to find clues about why her sister was murdered. But at the same time, Valerian Orlean, the boy Remy once loved, is put in charge of hunting and destroying the Resistance. As Vale fights to protect his people and Remy seeks justice for her sister, the two are set on a collision course that could bring everyone together - or tear everything apart. 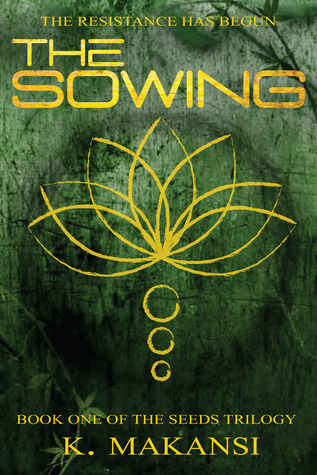 THE SOWING, the first book in The SEEDS Trilogy, is set in a post-apocalyptic world. In the wake of environmental destruction and a devastating population crash, the Okarian Sector was forced to fight to establish a civil society in a chaotic world. After the loss of seed biodiversity in the destruction of the Old World, genetic modification and artificial agricultural techniques are the Sector’s only choice. Science reigns supreme. The Okarian Agricultural Consortium, a corporation dedicated to perfecting these modified seeds and providing only the best food and medicine to its citizens, becomes the government’s most important arm. But even the purest gold is tarnished over time, and the Sector’s noble goals devolve into manipulation, control, and oppression. Written by the mother-daughter writing team of Kristy, Amira, and Elena Makansi, this debut post-apocalyptic thriller features romance, enduring friendships, edge-of-your-seat action, and heart-wrenching betrayal. OKAY. That came out of no where. I was totally not expecting The Sowing to read so intricately. Dystopians have, unfortunately, acquired an air of "been there, read about a new world like that." I feel like it's extremely hard to convince me that a dystopian is worth liking, but I liked this book, and was impressed by the reasons why. The first thing that earned my respect, and something I find is STILL missing in YA novels these days, was the diverse ethnicities of the characters in The Sowing. But that came after, because first, the prologue of this book was one the MOST intense prologues I have ever read. It struck cords, not only for the way it spiraled into tragedy, but because there have been so many real life moments that have mirrored it. The basis for The Sowing revolved around food, and the fact that society has reached a level of dietary perfection: genetically modified seeds that have rid society of disease, health issues and famine. With every movement in one direction, there's one that's moving the opposite way. Enter The Resistence, a group of individuals who are against an artificial way of living, and are fighting to revert back the old, natural way of living, no matter what the consequences. The Resistence: Remy, Eli, Jahnu, Kenzie & Soren. All of whom chose to leave behind the life they knew, and join a force that is growing stronger by the day. Each one of these characters were well drawn, and easy to fall into step with. I felt the most for Remy, who seems to have lost more than she can handle. Eli was a close second, who was strong in the ways that mattered. The Sowing moved at a pace that was hard to tear away from, and though my brain glazed over some of the more scientifically technical parts, it all added to urgent and mysterious feel of the book. I couldn't wait to see how the two worlds would collide, the new order of society, and the group of people who were trying so hard to regain normalcy. There were sections that moved slower than others, but for the majority of The Sowing, I was engaged, and endlessly curious. For fans of The Hunger Games, and Divergent, The Seeds Trilogy could definitely be your next obsession. Recommended for Fans of: The Hunger Games, Divergent, Dystopians, YA Fiction, Mystery. Read ALL ABOUT these lovely ladies on their Goodreads author page! Thank-you to Lisa from TLC Book Tours for hosting this tour, and to Layla Dog Press for sending me a print copy to review! The Sowing sounds so compelling and timely! 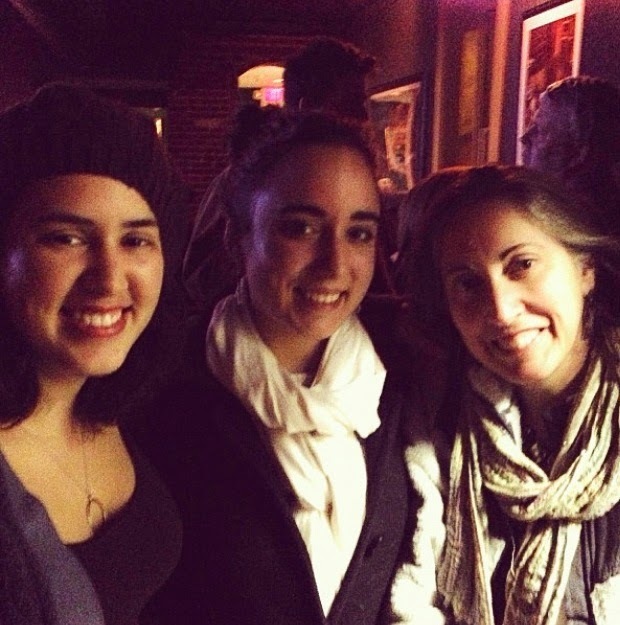 Thank you so much for being on the tour!